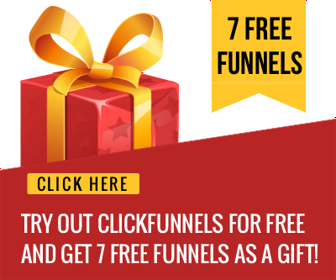 Video Series From Tim Carter Shows You How To Set Up A Sales Funnel For Free. 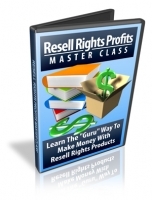 This product comes with Non-Transferable PLR! Wp Social SideBar allows you to share your social media contact info along with sharing your website, RSS Feed, and Email with Visitors. Easy to install and configure, WP Social SideBar is the “PurrFect” WordPress Social Media Plugin.. Place it at the top, bottom, or sides of your blog for easy attention capturing of your blog visitors. 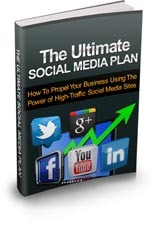 Includes twenty of the hottest social media sites including facebook, twitter, google+ and more. You’ll discover what social media is and how to use it to create social buzz so people can spread the word about your products/services or business in general. How to Tweet your way to online prominence using Twitter.com – Why use it? How to build and attract followers + more. Technique #13. Media relations – Pitch to local publications about your business by sending letters covering topics related to your product or service. Add an extra edge to your pitch by connecting your product or business to some current event that is making waves in the market. This helps you to gain wide exposure as your name and business will be printed together with your letter if it gets published and you will be perceived as the expert in your field. As an online entrepreneur you’re more than likely working from home. Friends and family may also mistake this thinking that you’re not doing much in the way of work. Not only that but cold callers coming to your door or randomly phoning you can also cause a hinderance! This is a serious time killer. Are you wondering why your competition is getting the customers you should be getting? 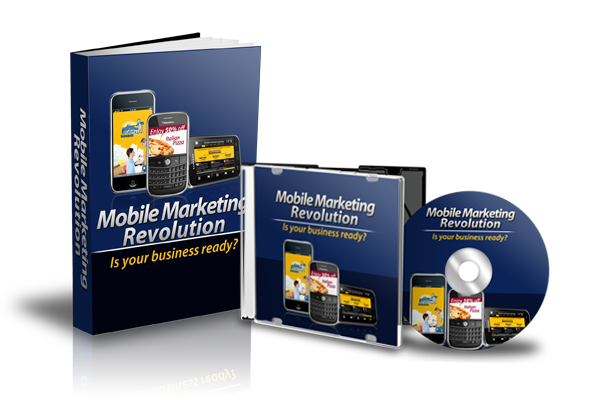 What is mobile marketing? what does it entail, current trends and statistics and a general overview of the market. Reasons why your business will benefit form mobile marketing. A timeline of recent mobile technology, to include smart phones, tablet PCs and everything in between. Explain why traditional .coms aren’t compatible with mobile screen resolutions, space demands and memory. 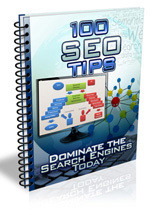 Optimizing your mobile site for the search engines. Mobile marketing and social media and the Opportunities for list building, lead generation and even direct sales. Mobile advertising an overview on Apps, how and where to create them, what they do, what they cost, the total potential pay-off. Mobile focused analytics. Options for collecting and analyzing the data and what to do with it. More graphics were added to the resellers kit. You can now download the new graphics. 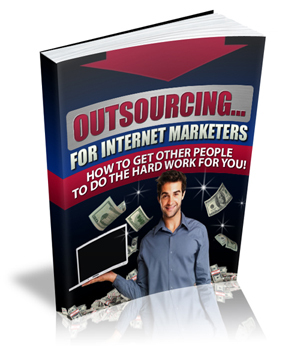 Why you should start outsourcing as soon as you possibly can – and the tasks you should probably NEVER outsource. How to do the whole outsourcing “thing”, from start to finish. How to find the best freelance workers – no matter what the task is. Tip #40. Be more concern about chemicals -There are certain chemicals that you can be exposed to at work, in your own place, or anywhere, which can be harmful to you or your baby. Thus, you should be mindful of them once you become pregnant. By becoming more environmentally sensitive, you can ensure a safer pregnancy. 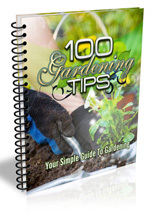 Tip# 49.The order of preference when it comes to dealing with pests – If there are pests that threaten the safety of your plants, it is best to deal with them in a certain order. For example, you should start with doing it by yourself, such as removing them manually. If that does not work, you can also install barriers or guards. If you decide to make use of biological agents though, choose those that are as natural as possible. Tip# 2. 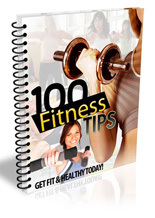 Be determined in achieving your fitness goals – If you are not determined enough in achieving your goals of losing weight, then you may be wasting your time in it. Losing weight is something that is achieved only with hard work and determination. Thus, you should be willing to do all the necessary things, even if it means sacrificing certain things for it. Tip# 6. Take note of what being fashionable is all about – If you want to become fashionable, you should keep in mind that it is not just all about wearing the right clothes. It is also about wearing the right makeup, the right hairstyle, the right pair of shoes, and the right accessories. Don’t forget that having the best skin, the best health, and being fit can also contribute to how fashionable you become. Scale Greater Heights And Be A Sensation With Learning To Focus! Do You Know The Unstoppable Power Of Learning To Focus With Meditation And Rescheduling…? Why is there want for learning to focus? Tip#11. Eat only if you are really hungry – There are times when a person eats when he is not hungry. There are many possible reasons behind this, which can include stress, emotions, habit, and such. Thus, you should become more aware whether your urge to eat is dictated by your stomach or something else. If you are unsure, drink a glass of water instead, or if you really have to, then you should get a healthy snack. Tip # 38. Talking with strangers – When you travel, whether you are going for a business trip or not, you may find yourself chatting with the passenger next to you at the airplane or at the airport. Although this is not a bad practice, you must be cautious when it comes to the information that you giveaway. Make sure not to tell the other person all your plans or where you are staying, since another one may be listening to take advantage of it. Tip# 5. Determine the very purpose of the resume – Although you are making the resume to get the job you want, it is actually just the first step that you are going to take for it. 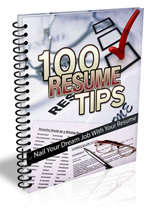 Thus, the very purpose of the resume is to get your potential employer to contact you for an interview. Once that happens, you can then focus on your interview performance to land on the job you have been dreaming of. Tip#12. Pinpoint your top competitors – Knowing your competitors is one of the best things to do in order to get ahead of them, or at least be at par with their performance. To attain that, you need to do your research about them first. Identify them, and try to check the strategies that they are making use of. See if such techniques can also be applied on your web page, so that you can take advantage of them if possible. Tip #9. Be prepared for tougher days – Always remember that while you are trying to make progress in your running, there may be times when it seems too hard to achieve even just your short term goals. When this happens, you should not get discouraged and you should motivate yourself more. Aside from that, be optimistic that the next day would be better. Tip #6. 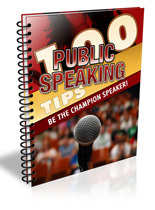 Learn more about public speaking – Researching about different techniques or tricks about public speaking can help you improve your skills on it. Doing your research can be done by reading more books and magazines about it. Aside from visiting bookstores for them, you can also check out websites, which may offer eBooks about public speaking or are offering valuable information for free. 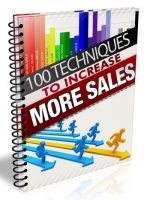 Here’s the deal: having 20 components that will skyrocket your sales and minimize your efforts! 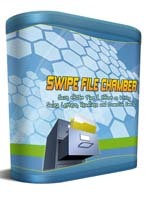 Each of these swipe files has a minimum of 100 swipes that you can use. Headlines – If you can’t get this right, you might as well skip the rest of the sales letter because the headline is the first thing (or the last thing) that a person sees on the page of a sales letter. With a beefy selection of headlines, you will be able to catch your prospect’s eye and let the rest of the sales letter do it’s magic! Sub-headlines – Double your impact with swipes of sub-headlines. Once the headline has grabbed your reader’s attention, the sub-headline will summarize the benefits in such a way that the customer will be hooked reading the rest of the letter. Hypnotic openers – Dear reader’, everything that goes after here should be strong, punchy and packed with details. It’s like saying ‘once upon a time’ and opening up the magic of the beginning of the story. Hypnotic openers will get the ball rolling. High converting bullet points – If you want to lay the ideas out line after line, make sure it counts. This swipe module will give you the tools to convey your benefits at light speed. Persuasive guarantees – If you have difficult customers who just won’t buy, give them a very, very, very strong reason why. Guarantee them that nothing will go wrong and there’s no risk. 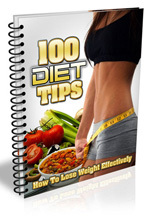 Find 100 ways to say it persuasively, niff’ said! Benefits – To every customer, it’s always ‘WIIFM’ which stands for what’s in it for me? Show them that you mean business by outlining the benefits in different ways. 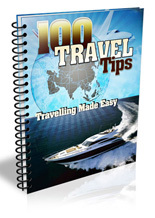 Bonuses – Everybody loves bonuses. Find a hundred ways to say ‘I love you’ by showing your customers with throngs of mouth watering free gifts that will make them drool at their sides. Call to action closers – You can write a great sales letter, but if you can’t clinch the last moment, it will be worth nothing. You need to get your prospects moving and turn them into customers using these call to action closers. The moment of decision – You’ve reached the final blow so it’s time to ‘finish it’! These calls to action closers will tip the one sitting on the fence off to the right side ensuring the sale and your continual profits. 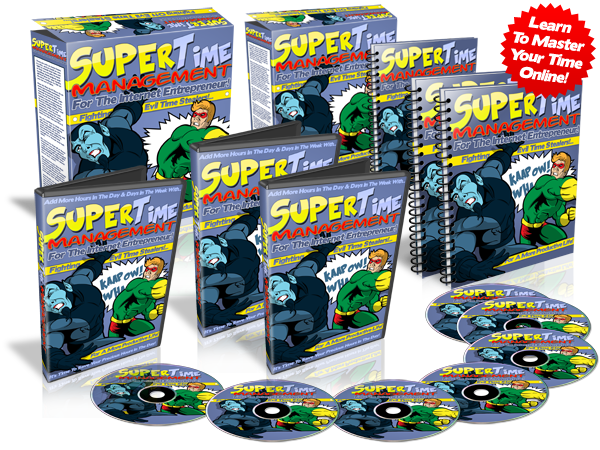 Powerful post scripts – Ironically, people might skip to the end of the sales letter and this is where you’ll catch them with powerful post scripts. P.S. This is a really powerful module! Engaging questions – Questions are really powerful! You may not be sitting in front of the computer watching your customer, but asking questions using in your sales letter is almost as good as being there. Questions engage the prospect and unlocks their mind ensuring that they are interested in what you have to offer. Comparisons – Fancy a little social proof? Nothing is better than showing how good your product is by beating down others. You will look better by comparison and this will skyrocket your perceived value! Use 100 of these comparison words to show your true copywriting power! Killer article titles – Some people think article marketing is not about copywriting. It’s not true because if no one reads your articles, nothing gets accomplished. And you want to get people to read yours by getting hooked on your title. This is a really powerful tactic in marketing. Bombastic blog post subject lines – The same as article titles, the blogging apple doesn’t fall too far away from the content tree. You need attention grabbing blog post subject lines. People and the search engines will pick it up as well. Email marketing subject lines – Increasing your click through rate starts from the open rate of emails. If you have a compelling email subject line, you will be able to get people to get to your sales letters. 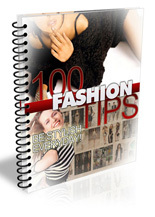 We’ll show you 100 ways how to pull it off. Follow ups and follow throughs – Customer not buying yet? Send them email after email. It’s all in the autoresponder anyway so just putting these in will get people to come back to it over and over again until they buy. Personal branding – If there’s one thing you must effectively sell more than anything in the world – it would be yourself (or your company). People write resumes all the time. Blog ‘about’ pages, Facebook profiles, Twitter profiles, you name it! It’s all about you! Getting an idea across – Sometimes you might have that killer idea but you don’t know how to get it across. These swipes will guarantee that you will not be at a loss for words when you want to pass the killer idea to your audience. Social media attention grabbers – Are you a Facebook or Twitter junkie? These tweets or post updates will get you to increase your click through rates or get you more ‘likes’ on Facebook. Especially powerful if you are in to social media. Newspaper ads – Last but not least, these newspaper ad swipes will help you to increase your business. It doesn’t matter if you are online or offline, they get the job done. 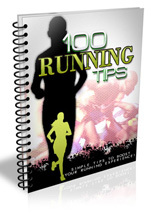 You will have at least 100 of these to get you started.